Estelle G. Kolentik, 83, of Willimantic, passed away Friday February 8, 2019 at her home. She was the daughter of the late Joseph and Josephine (Herbert) Bocash. Born on October 21, 1935 in East Lyme, CT she lived in Wilimantic for most of her life. She worked at Electro-Motive then worked at American Thread for many years until her retirement. She was a member of St. Joseph Church and an avid bingo player. She leaves her son, James Millerd Jr (Jennifer) of Chaplin; a daughter, Joann Dupont (Robert) of Willimantic; grandchildren, Jeanna, Julie, Robert and Joey; greatgrandchildren, Logan and Oliver and several nieces and nephews. She was predeceased by her sister, Barbara Kolentik. Funeral services will be held Wednesday February 13, 2019 with a Mass of Christian Burial at 10AM directly at St. Joseph Church 99 Jackson St, Willimantic. Burial will follow in St. Joseph Cemetery, Windham. There are no calling hours. In lieu of flowers, donations may be made to St. Joseph Church 99 Jackson St ,Willimantic, CT, 06226 or to St. Jude Children’s Research Hospital 501 St. Jude Place Memphis, TN 38105. 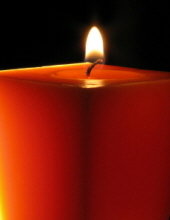 To send an online expression of sympathy, please visit www.baconfh.com. Bacon Funeral Home 71 Prospect St, Willimantic is serving the family. To send flowers or a remembrance gift to the family of Estelle G. Kolentik, please visit our Tribute Store. "Email Address" would like to share the life celebration of Estelle G. Kolentik. Click on the "link" to go to share a favorite memory or leave a condolence message for the family.